Curious if your Lexus has a particular feature? Check out the pictures below and find out…. Lane Departure Alert (LDA) available with the Advanced Pre-Collision System Package for Lexus GX460 (2012 model pictured). This package also includes Dynamic Radar Cruise Control, Intelligent High-Beam Headlamps, Crawl Control and Advanced Pre-Collision System (PCS) with Driver Attention Monitor. 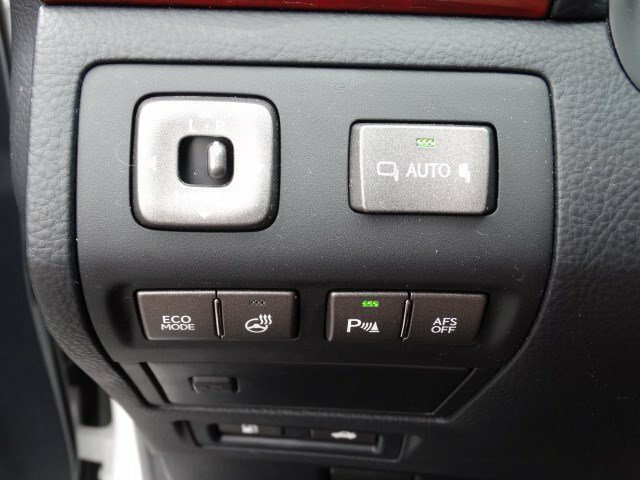 This picture covers quite a few buttons that you may be curious about: ECO Mode– want to make sure you are getting the best possible fuel economy? Select ECO mode and your Lexus will adjust your AC settings so to optimize fuel economy while driving. 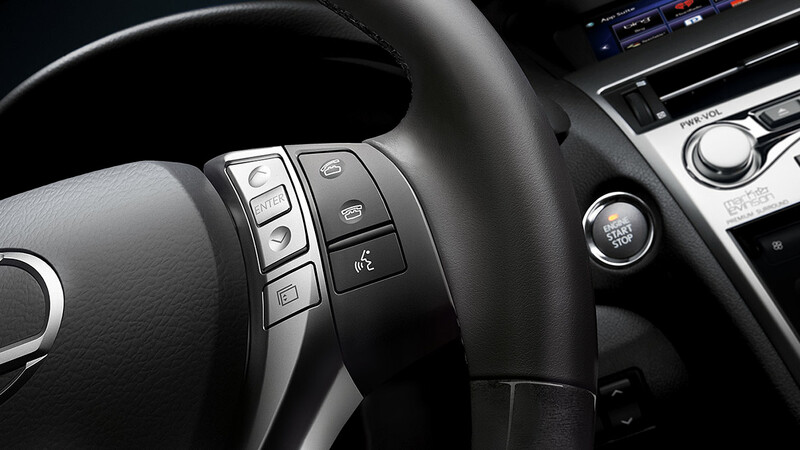 Heated Steering Wheel– next to ECO mode. Pressing this button will heat up the leather portion of your wood and leather trim steering wheel. Park Assist- When you see the green light on (as it is in the picture) this means your Park Assist is turned on and will alert you when your back bumper or sides of your front bumper gets close to another car or object when parking. This lets you pull all the way into your garage without having to worry about your front bumper. AFS OFF- If your Lexus has the Adaptive Front Lighting System- you will know because you have an AFS OFF button (which turns off the Adaptive Front Lighting System). AFS means you have the headlights that will move to illuminate upcoming turns in the road (for example). Display Audio Package- Have a rotary knob similar to the one pictured above? That means you have the Lexus Display Audio Package which gives you Advanced Bluetooth with BT Audio Streaming, Automatic Phonebook download, Voice Command, HD Radio and more! Most of the same features you get with the upgraded navigation package, but no GPS System. 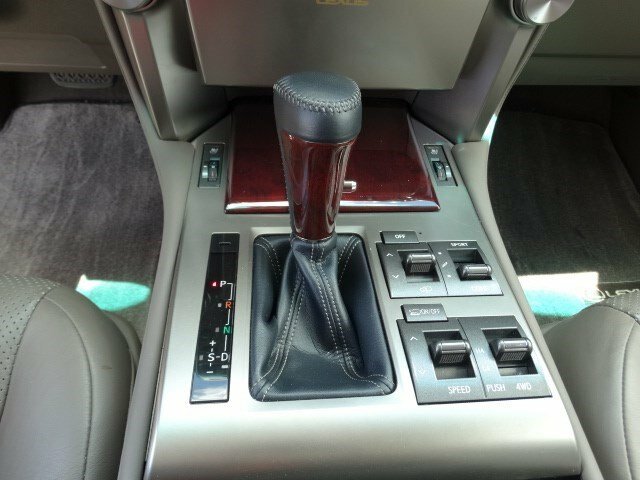 This feature is a great addition to the 2013 or newer Lexus models. 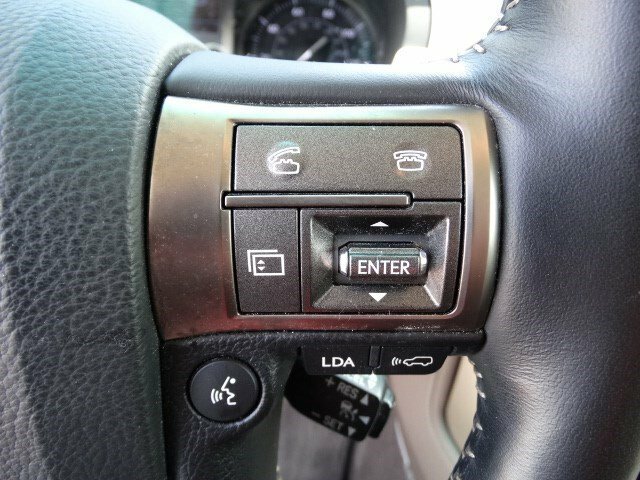 Standard model Lexus GX460- Downhill Assist Control (DAC) and your 4WD controls- H4 for everyday driving and L4 for towing. Bluetooth or Voice Command- If you have any of the phone icon buttons or a button with a face (like the picture above), you should have both! Be sure to stop by our dealership for more information on your current Lexus or set up an appointment with our Vehicle Technology Specialist who can help you to re-discover the Lexus you have now.